This is why today I wanted to talk with you about Google My Business listings. I’m even going to get more specific and talk about the business description exclusively. Before we get into the Google My Business description, let me give you the backstory. In 2016, Google detached the Google My Business listing from the Google+ profile. 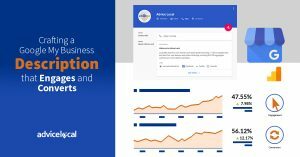 This meant the comprehensive description businesses once had, which could include links, bullets and other features within their Google My Business listing, was gone. 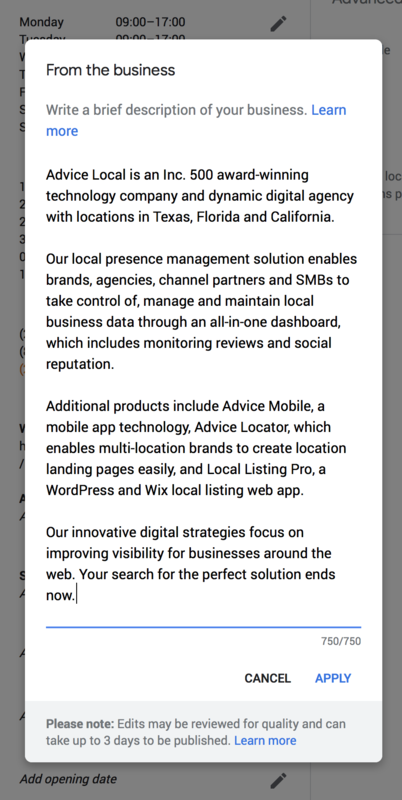 The previous business descriptions stayed connected to the business’ Google+ page, but were no longer an option in the Google My Business listing. Well, it’s almost two years later and the business description is back in the Google My Business listing. 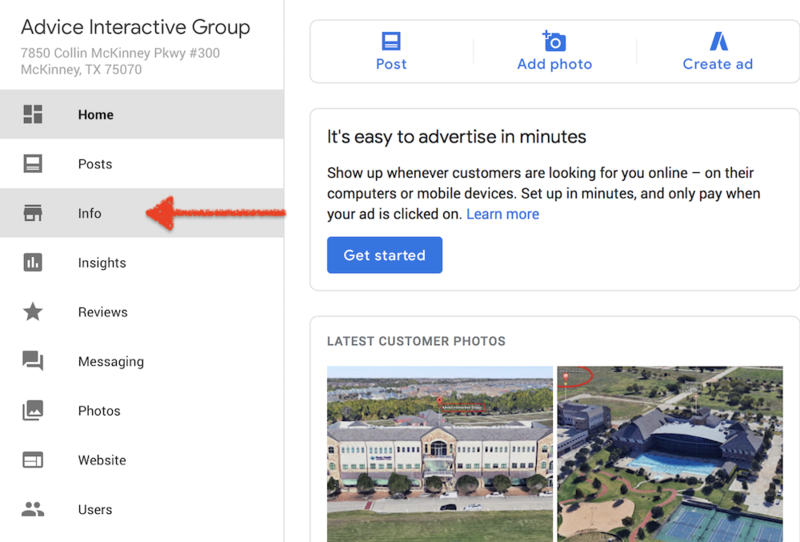 It’s not connected to Google+, but businesses can now once again share about their products and services within their Google listing. Keep reading on how to craft these descriptions to meet Google’s guidelines. 1. Businesses can’t get too wordy. That’s right – there are only 750 characters, with spaces, for the business to write a description that engages and converts. Include any special recognitions, awards and keywords, but use of them sparingly is a no brainer. Make sure the content is written well, follows Google E-A-T Guidelines and isn’t a sales pitch, but rather a short description about the business. 2. Links are not allowed. I know – it made me want to cry, too. Before the detachment, businesses could link to products and service pages, the About page and so much more. This isn’t the case now, so businesses will need to get a bit creative. Talking about products and services in the description is a must, and make it compelling enough to encourage a click-through to the website to visit that product page. 3. Google takes 3 days to review/approve the listing at this point. I’m not 100% sure if this approval process is manual or AI based. I would guess that a smart bot spiders the content for signs that the guidelines for the description are not being broken, then flags those in question for a manual review. 4. No gimmicks, keyword stuffing or sales pitches allowed. Nope, you cannot put an offer or discount in your Google My Business description. In fact, you wouldn’t want to anyway. These items would change from time to time and are not considered evergreen. If you want to include an offer in your Google map listing, use a Google Post. 5. Optimize the entire Google My Business listing. While today I am speaking specifically to the business description within the listing, the entire listing needs to be optimized to include the correct category, images, etc. Even putting some questions and answers within the Google Q & A feature within the listing is a must. Now that we have talked about what to include and what not to include within the listing, here’s how you can make the necessary updates. 1. Access the GMB listing you wish to edit. 2. It’s time to add the description. Once in the “Info” tab, scroll down to the section that says “Add business description” and click the pencil. 4. How does it look? The description does allow for paragraph formatting, so definitely include formatting to make it easier to read. Here is an example of our description pasted in. 5. The wait is on. Wait three days and check the Google My Business listing within Google to see if the description is published. If it isn’t approved, definitely double check and make sure you have followed the Google My Business guidelines. While this post is long, the process is pretty simple to update one Google My Business listing. Writing optimized Google My Business descriptions and updating multiple listings can be tricky and time consuming. This is where the Advice Local comes in. We have an entire time of local search experts that can update all the Google My Business listings for the businesses you represent in a snap. Request a demo to learn more today. 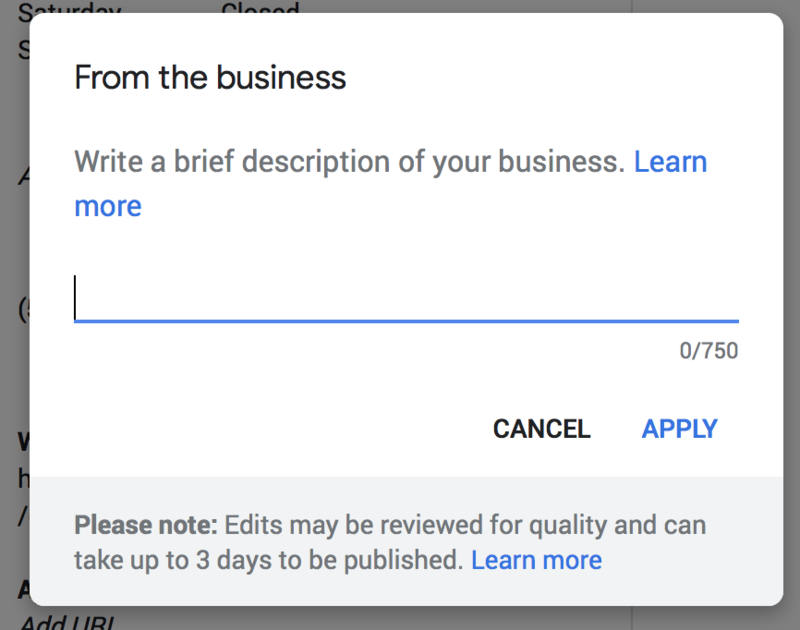 The post The Google My Business Description is Back: It’s Time to Update Those GMB Listings appeared first on Advice Local.